The game of poker doesn’t require an introduction. Thanks to television commercials for poker tournaments, live action at the casinos or playing online, poker seems to have caught the fascination of increasing number of people. It’s not only popular among the people, but also among the celebrities who don’t shy away from showing their poker skills at various tournaments. Poker requires essential skills to prepare a strategy for playing the game. Do you think if you know the basics, then it would be sufficient? I don’t think so!! Poker requires a smart strategy which involves a lot of factors to win the game or even turn a losing hand into a winning one. To design an effective strategy to be implemented in the game of poker the following tips would be useful. You should know the winning order of poker hands. 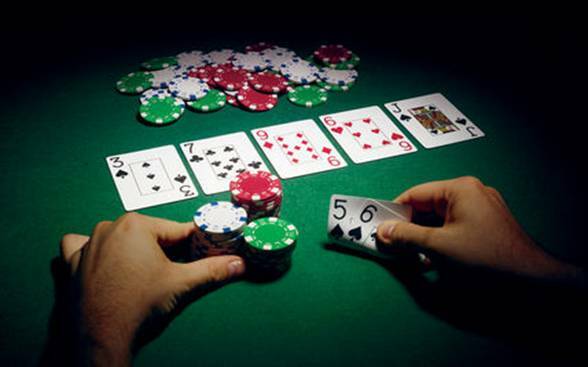 The first thing you should keep in mind while playing poker is the winning order of poker hands. The best way to know about them is to refer a book or search online and preferably memorize them. You should be aware of the basic structure of the game. A game of poker has five cards only. Ace is the highest card which is followed by the face cards and the number cards. The highest hand is the royal flush which consists of an ace followed by the king, queen, jack and ten, all of them the same suit. You should learn the basic principle of playing poker. Once you’re aware of the poker hands, the next step would be to understand and learn the principle of playing poker. In poker even when you have a bad hand then also you can win that hand. The trick is to play cautiously by observing your opponent’s hand. You have the power to manipulate your opponent’s game. You can the tricks of bluffing or slow-playing. In bluffing you show the opponent that you’re stronger and trick him folding his hand. In this case it’s your confidence which works for you. In slow-playing you convince the opponent that your hand is weaker as you bet weakly. This helps to trick your opponent to bet aggressively thereby filling up the pot. In poker your position plays an essential role. If you go early, then your opponent has a good chance of having a strong hand. However, if you go later or at last then you have an opportunity to observe the opponent’s hand and plan your strategy accordingly. Your position in poker goes a long way in determining your winning strategy. Poker requires you to be alert all the time. The reason behind this is facial expressions and behavior of the player can reveal a lot. If you observe your opponents effectively, then you are in a state to predict his moves in the game. Poker is a great game and you’ll enjoy playing it. A strategy is an integral part of poker and having one is essential to be a winning player. I hope the tips I have shared in this post will definitely help you to design your poker strategy. All the best!! Ben Oren is a marketing specialist at WSOP. He started as a recreational poker player, but is now an expert in Texas Holdem. He plays poker online regularly. His hobbies include playing baseball and trekking.